Small arrows that run parallel to the rope. 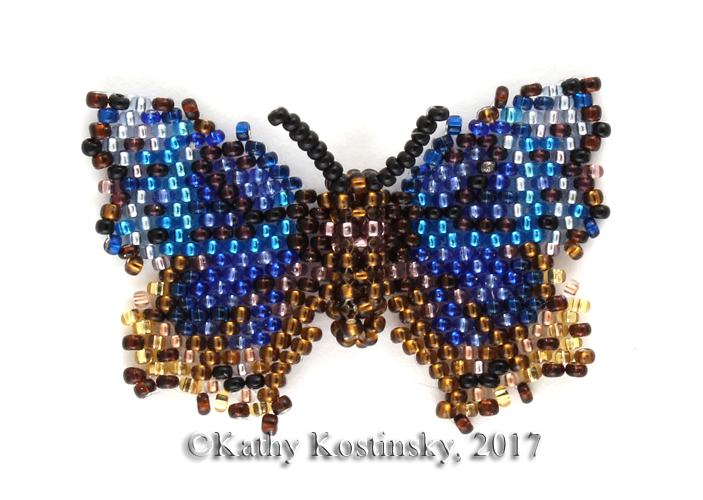 This is a very graphic, two color design that would look good as a bracelet or combined with other elements for a necklace. It's easy to change out your colors with BCPD. 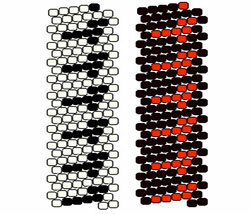 The pattern comes in black and white, but the photo shows it also in red and black to illustrate how easy it is to make your own color combination. Crochet with any size beads.